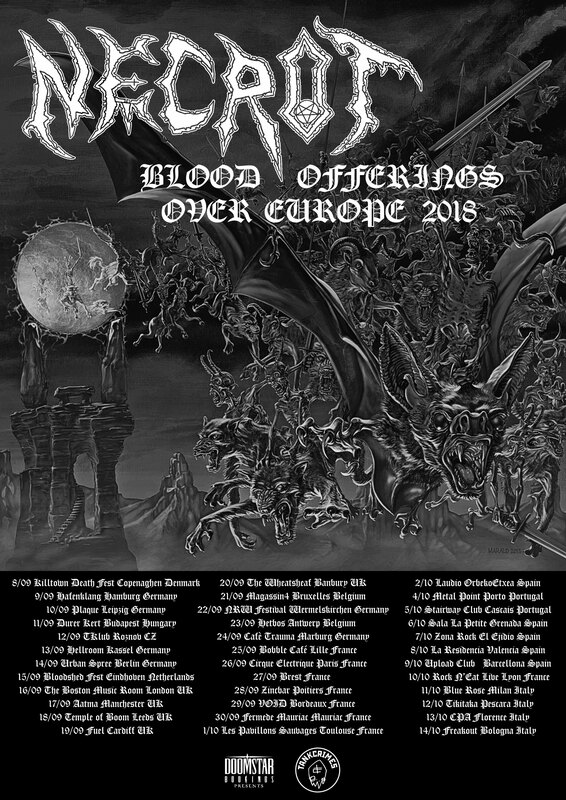 Bay Area death cult NECROT will kick off the long-anticipated Blood Offerings Over Europe tour this week. Slated to commence September 8th at Kill-Town Death Fest, the journey will rumble the stages of nearly three-dozen cities upon its conclusion October 14th. The trek, which follows their crushing performance at Psycho Las Vegas last month, marks the band’s first-ever European tour. 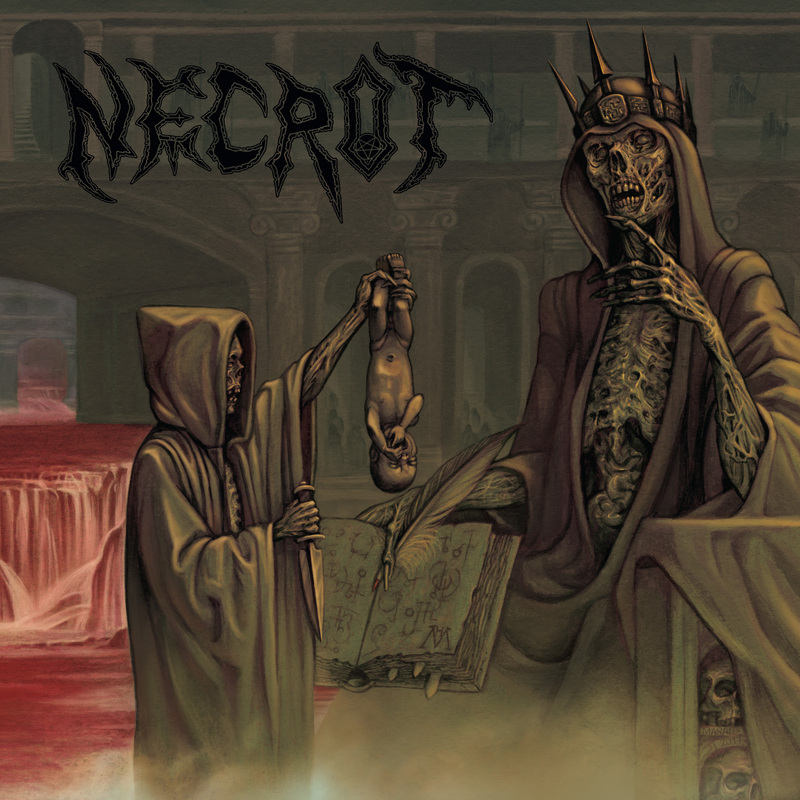 Necrot’s Blood Offerings is out now on CD, digital, and vinyl formats and well a recently-issued deluxe cassette edition. Tankcrimes recently repressed the LP (now available on limited-edition splatter or olive vinyl). Find physical orders at THIS LOCATION. Stream Blood Offerings in full at THIS LOCATION where you can also purchase the record digitally. Forged in 2011, NECROT — founded by current and former members of Acephalix, Vastum, Saviours, Watch Them Die, Atrament, and more — unleashed their The Labyrinth full-length in 2016 via Tankcrimes. 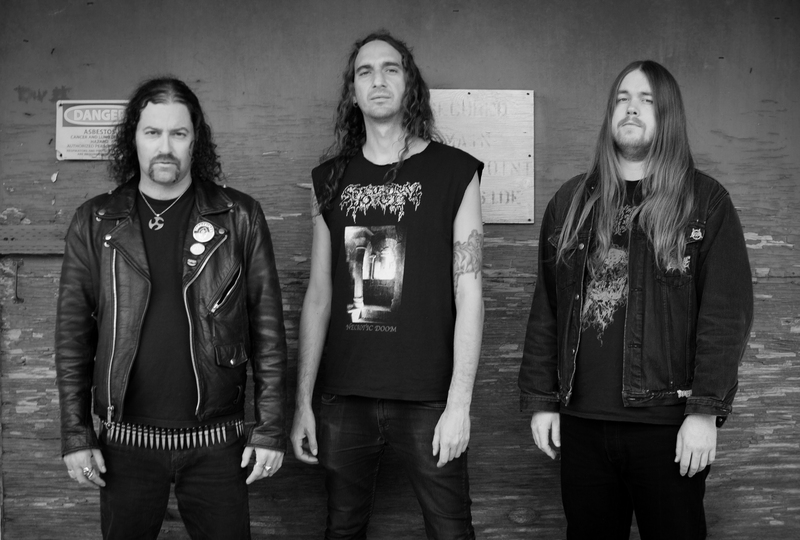 Spewing forth eight tracks amassed from three hard-to-find and long out-of-print demo tapes, the record reaped critical acclaim from fans and media alike compelled by the band’s unrepentant Autopsy, Bolt Thrower, and Sacrilege worship.